CLICK HERE TO SEE OUR INVENTORY! Learn more about Junior Peters Roadside Auto's Auto Protection Plus! Need Help Financing? 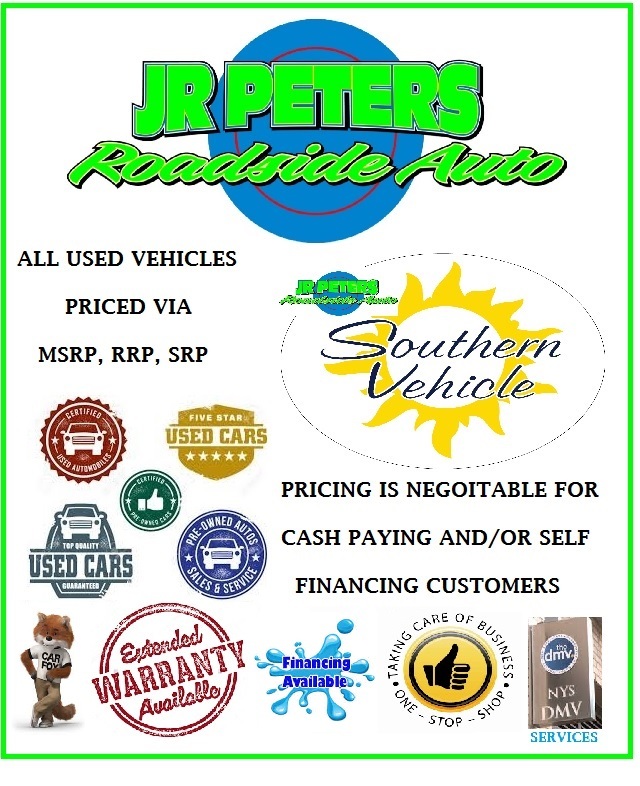 Click here and bring this into Junior Peters Roadside Auto!